I hate to admit it but when I drive around the city at night I love to look into windows of apartments and homes, most of the interior I'm happy to say are gorgeous. Perusing the web I saw this very awesome interior design image and knew that I just needed to share it. It's so fun! 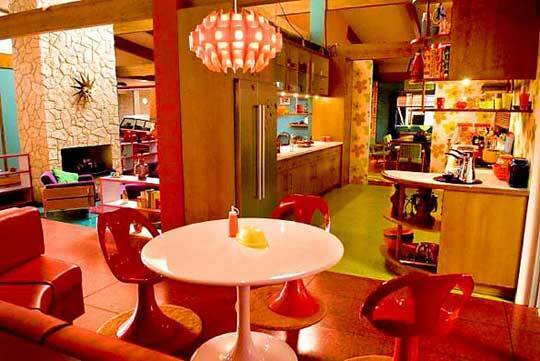 A retro theme along with modern accents (ie dinner-table hanging light) makes for a very unique environment. Who wouldn't always want to be home in a place like this?